Capacity building – Administrative restructuring of BBMP – Roles and responsibilities of departments/officers to be defined. Computerisation of all BBMP offices, establishment of citizen help centers in each ward. Adequate and skilled professionals should be hired as required in BBMP. Services of Private consultants/professionals /outsourcing can be utilised as required on a contract basis instead of utilizing engineers from the public works department. Involve registered Resident Welfare Associations (RWA) and civic organizations to monitor projects of the ward and conduct adalats. Pilot project on solid waste management /garbage management in all 28 assembly constituencies. Enforce citizens to separate wet and dry waste at source. This will generate income to BBMP. 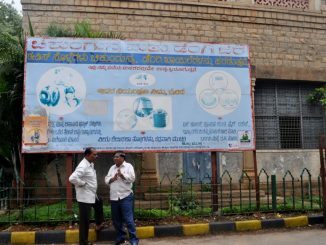 Improvement of BBMP hospitals and schools under public-private partnership-CSR. A shelter for stray dogs on the outskirts of the city. Encourage pet-loving citizens to adopt stray dogs. Collect at least 90% property tax and maintain a property tax register (This may require more staff or it could be outsourced to agencies used by banks to recover loans). This will significantly increase BBMP’s revenue. Congestion tax can be levied for vehicle owners who own more than two vehicles. BBMP can discourage ownership of more than two vehicles. Do not regularise those establishments that have converted basement parking for commercial purposes, instead levy heavy taxes on them and utilize that to construct parking malls. BDA owned Corner sites can be utilised as mini parking complex. Parking cess to be levied on those establishments who have not provided parking facilities in their buildings. Trade license renewal -NOC to be issued by neighbours if it is in residential area. Trade license in basements must be scraped and commercial activity in basement should not be regularised if there is a complaint. Traffic Police approval is needed for a commercial building if it is coming up on a site measuring above 40*60 dimension. Traffic police consent and public hearing to conducted while constructing fly overs, underpass and road widening. Appoint Election officer in each Assembly Constituency to undertake cleansing of electoral rolls and to register throughout the year for any elections. Do you know that Bengaluru gets visitors from across the world? And no, we’re not talking about people. 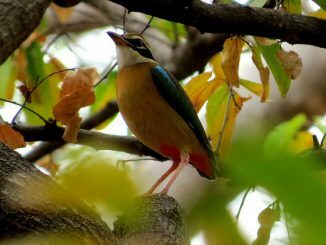 Several birds make their way to India for the winter.